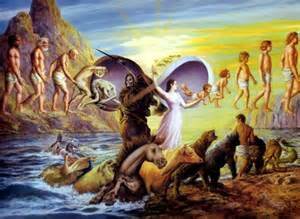 Reincarnation is an accepted process for Spiritists. The need to atone for your sins in the next life is well known. 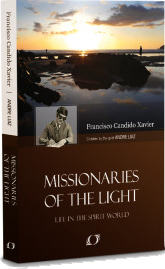 But there are other reasons for re-birth as well, the spirit Andre Luiz delves deeper into the need for varied experiences and sheds light on the complexities in our learning here on earth in two of his books, Missionaries of the Light and Workers of the Life Eternal, both psychographed by Francisco C. Xavier. To understand the need for multiple lives, even for those whose rays of goodness made an impact on earth in their previous existence, we need to understand why even the best of us must return to earth to complete our studies. The most common perception for the need for each successive life is the requirement to pay off our debts incurred in our previous life. The next thought that comes to us is the need to perform good deeds and be a positive influence for those around us. While all of this is true, there are more complex reasons at work. The great Brazilian medium, Francisco C. Xavier, who publish more than 400 books in his life time, psychographed a series of books by a deceased Brazilian doctor named Andre Luiz. 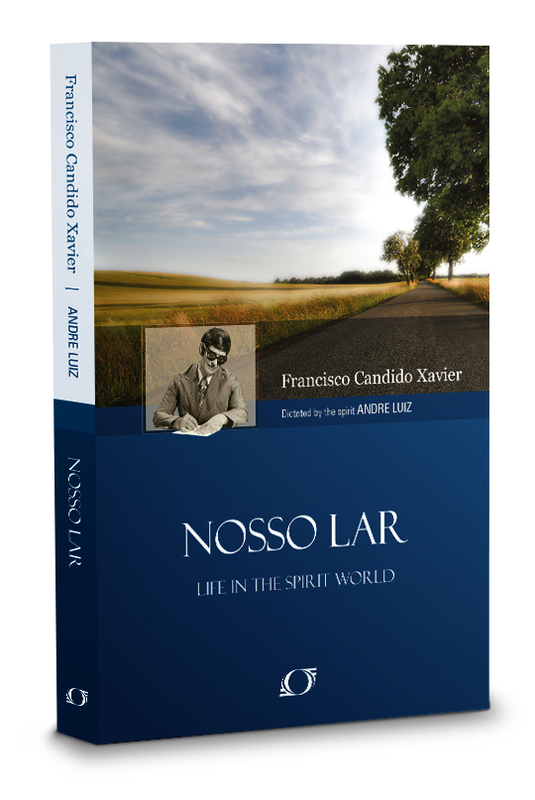 Using Francisco C. Xavier (known as Chico Xavier), Andre Luiz dictated these books so we here on earth could understand what goes on in the Spirit world. Spirits who took him to a heavenly city named Nossa Lar. He was tasked by the Spirit world to assist various teams of Spirits, so he could relay to us the different types and methods of work that exist in the Spirit life after physical death. 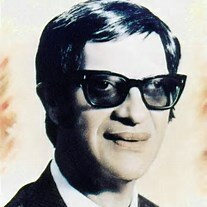 Many of his books have been translated into English and Nossa Lar has been made into a movie, with English subtitles. When Silverio uses the term ‘rare’, he is doing so in the context of those spirits who are elevated enough to earn and use the full capabilities of the Design and Planning Pavilions. Why would these individuals fail to fully profit from the gifts given to them? To comprehend this, Andre wishes to understand the type of person who is receiving preparations for their next life and the services provided in the Design and Planning Pavilion. 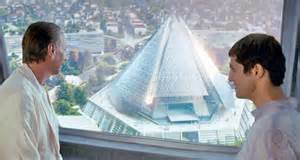 Andre learns that the Design and Planning Pavilion not only creates the blueprints for the physical body of a reincarnate, but also implants future weaknesses. Andre’s guide at the Pavilion, Manasses, shows a diagram of a future reincarnation and points out, “Here is the plan for the future reincarnation of a friend of mine. Do you see some dark spots from the descending colon to the sigmoid loop? This indicates that he will suffer from a large ulcer in this area as soon as he becomes an adult.” Andre is told that this person had stabbed another over one hundred years ago. He had made amends in the spirit world with his victim and had accomplished many good deeds, nevertheless he requested that he pay for his debt. 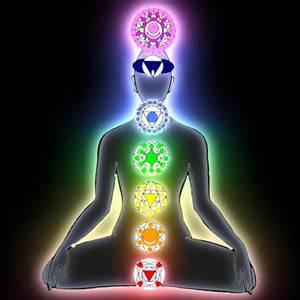 The requirement that all debts be fully paid is a recurring theme in the Spiritist world. Until the person who committed the deed feels they have paid full restitution, even when others would consider them fully paid off, that person will not feel exonerated from their crime. We are our own harshest judges of our conduct. Andre also wished to know if his friend knew if any of the ‘completers’ have returned to earth and did they return with perfect bodies? He was told, “Despite their merit, none of those whom I have seen leave chose flawless forms. They requested arrangements for a healthy existence, more concerned with the resistance, balance, durability and strength of the instrument that was to serve them. But they also asked for measures that would temporarily decrease their personal magnetism, avoiding a highly beautiful physical appearance and thereby concealing the beauty of their souls in order to guarantee the effectiveness of their tasks.” Given their past successes and track records of achievement, one would think the spirits classified as ‘completers’, would have the capability to achieve their goals in any environment. Andre listens to the explanation, “They did this because, living under the rules of appearances when on earth, most people, if they were aware of their true status, would try to crush such missionaries of the good by means of the destructive vibrations of jealousy, spite, gratuitous antipathy and unwarranted quarrels.” Therefore, not only do we need to learn how to fulfill our missions, but we must also acquire the methods to deal with success, in terms of physical beauty, intelligence, charisma, but also how to deal with the consequences of our presence in the minds of others. The very fact that we merely exist on earth, without any action on our part, comes with a host of difficult lessons to learn. What does Andre mean by didactic material in this instance? One of the definitions of didactic is “Teaching or intended to teach a moral lesson.” Therefore as we continue learning in the Spirit world and travel through multiple physical trials on earth we accumulate moral lessons that in turn influence our physical bodies and the structure of our brain, as we are reborn. Not only is our intellectual being as Spirits is important, but the physical makeup of our human form is vital for our involvement on our planet and to our eventual elevation as Spirits. Andre continues to explain his thesis, “When we harm matter, we will in turn have complicated the service schedule that is so vital to our spiritual progress, and in any situation we will remain at a standstill in order to restore the sublime heritage that has been placed at our disposal by the Imperishable Goodness.” Andre is pointing out that destroying our bodies or minds by such acts of excessive drinking or by a criminal action delays and would subtract from our accumulating the correct amount of learning to move up in our spiritual plane. 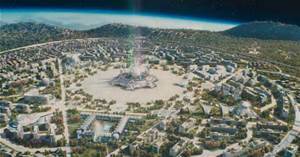 Andre goes on further to detail the penalty of such actions, “We will be compelled to regenerative work both during incarnation and discarnation, both in our corporeal existence and in the death of our body, both in the present and in the future. No one will successfully reach the peak of life eternal without first having learned the balance to do so.” He observed, after personally seeing the end of life experiences of multiple people, the passion to hold onto material objects, the regrets of wrong doing, the terrible physical inflictions caused by alcoholism or drugs, the totality of the effect on the spirit as it withdraws from the body. While, on the other hand, spirits who led a life relatively free from such actions, achieved a calmer death, a faster withdrawal from their bodies. The spirits who did not resist temptation experienced a much harder effort to let go. Even after full withdraw of their spirits from their physical bodies, these types of people were confused and required care to fully recover their thought processes. Given all that he had seen, Andre fully realizes the need for our multiple attempts at learning in our corporeal bodies, “Hence the reasons for the complex activities of the evolutionary road, the countless diversities, the multiplicity of social positions, the degrees of abilities and the levels of intelligence on the various planes of life.” What a wonderful revelation! We all go through periods of high social positions, living life with riches, and being the smartest person in the room. Although, we also live in the opposite positions. Truly, this knowledge must cause us all to be humble. For those who believe we only need one life to be pure, it is as if we wanted to be the President of a large company without ever working any other job. Of course we must start in the mail room and work our way up in various positions to fully comprehend how things get done and how to survive within the culture of the organization. No matter how pious we could have started out as a new spirit, we would still need the required know-how to gain our elevation. Only through rigorous trials do we have the right mixture of beliefs and knowledge to reincarnate with good prospects of success and to be a valued worker in the Spirit realm. When the balance of experience is lacking we are less able to control the process of reincarnation, and control ourselves in a physical form. Hence, the problems we have with our periods of depression. Our inability to stabilize ourselves because we lack the required combination of experiences to be able to mold our thoughts in the correct manner for all situations. This frustration of controlling ourselves and trying to learn how to cope with life is familiar to any teenager. We did not know that this is a multiple lifelong task. Be content, even later in life, as we live within the ups and downs, that we are gaining valuable training, which will carry over to the next life in subtle ways. A more detailed explanation of the process of reincarnation is in my book, The Case for Reincarnation – Your Path to Perfection. Brian Foster has a BSCS degree and a MBA. He has worked in R&D for medical device corporations and in IT for large financial institutions. Brian Foster has a blog at http://www.nwspiritism.com. Xavier, F. C. (2008). 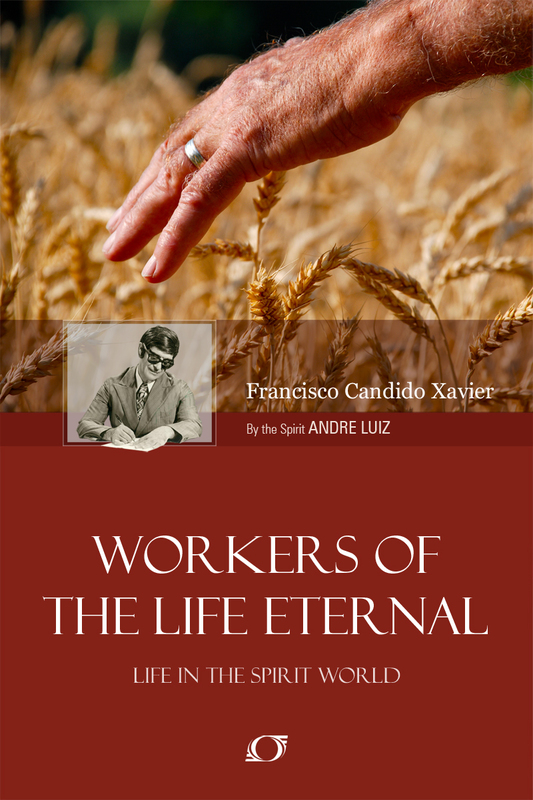 Workers of the Life Eternal. Brasilia (DF) – Brazil: International Spiritist Council. Xavier, F. C. (2009). Missionaries of the Light. Brasilia (DF), Brazil: International Spiritist Council. This is just a question not an attack. What evidence is there that Dr. Luiz existed? The spirit world has said they wish to keep the true name of Dr. Andre Luiz a secret so his descendants are not revealed. Given that, there are many people in Brazil who think they have figured out who it was. But as far as I know there is no absolute evidence that you could take to a court and prove he was a real person. There are books psychographed by Francisco (Chico) C. Xavier which were dictated by people proven to be real. These were Brazilians who were active in the Spiritist movement in the 1900’s.